The All-New Ford Focus ushers in a new era for technology, comfort, space and driving equipment for Europe's mid-sized car customers. This game-changer is designed with the driver in mind and fuses appealing exterior styling with class-leading aerodynamics; and delivers an interior that offers more space, combined with high quality materials and craftsmanship. The most sophisticated range of Ford driver assistance technologies ever offered to Ford customers is seamlessly integrated to enable a sensitive, stress-reducing and refined driving experience, which remains true to the nameplate’s 20-year legacy of class-leading driving dynamics. Powertrain options include powerful and fuel-efficient EcoBoost petrol and EcoBlue diesel engines, and a new eight-speed automatic transmission for ultimate cruising comfort. The most comprehensive Focus line-up ever is offered in five-door hatchback, wagon and in selected markets four-door body styles. Each has different personalities, including the stylish Focus Titanium, sporty Focus ST-Line, upscale Focus Vignale and the first Focus Active crossover. The different variants will be delivered in two phases starting with the popular Zetec, Titanium and ST-Lines followed by the Luxurious Vignale, Focus crossover Active and Performance ST.
Clean lines, a sleek layout and sophisticated look. The interior of All-New Focus is more comfortable, spacious and chic than ever before. And now, you and your car can stay connected wherever you are. The optional new FordPass Connect modem* brings you a range of invaluable features such as Live Traffic††, Wi-Fi hotspot‡‡ and eCall**. Download the FordPass App on your smartphone and you can access even more FordPass Connect features.  For example, remote locking & unlocking, remote starting (auto transmission only), vehicle location, and more. Download the FordPass app from either the Apple App Store or The Google Play store by following the relevant link below.